A couple of months ago I took part in a survey about melatonin and if I felt it had any positive benefits for people with multiple sclerosis. In the questionnaire I answered that I did take melatonin and it did help me to sleep. I also added that when I first started taking it many years ago I felt that it might be helping in reducing some of the stiffness in my legs but I wasn’t a hundred percent certain either then or now. Back then I was using 3mg nightly and then would sometimes add an extra 3mg dose on particularly bad nights. Recently I also read that melatonin is now considered safe at larger doses of up to 10 mg a night and it may also have some anti-inflammatory properties as well. And I must admit, as the years have gone by I have upped my nightly dose to 5 mg at bedtime with an additional 5 mg if I wake up in the middle of the night and can’t go back to sleep. I also have an anti-spastic drug Cyclobenzaprine that I can take if I feel the need but I worry about becoming addicted to it over the long haul so I don’t like taking it very often. But I sure do sleep deeply when I do take it. And in the spring I often also add 25mg of Benadryle before bedtime when the trees start to pollinate because of a severe allergic reaction to certain trees. That also helps as well for sleeping, though the survey was only concerned about melatonin. I don’t know when the results of this survey will be made public but I am more than curious to see what it has to say? As the survey did hint that there may be some added benefits for people who suffer from multiple sclerosis who also take melatonin on a regular basis, beyond its ability to help in falling asleep, but it didn’t elaborate. We’ll see? This entry was posted in FOOD, MS and Bill Walker, MS Treatments, Uncatagorized and tagged Melatonin, MS, Multiple Sclerosis, Sleep Disorders on September 1, 2015 by msandbeyond. Better to make Benedryl at night pretty rare — it can cause dental problems because it dries the mouth overnight. For sleep issues another thing you might look at is the amino acid GABA. One form is Now brand’s True Calm which had some added co-factors. Thank you and yes I do make Benedryl a rare event. And I’ll look into GABA, I’ve never heard of it before! i just talked to my gp today about insomnia. he suggested melatonin and valerian. i so want to get off the sleep drug merry-go-round. thanks for sharing! You are quite welcome Stephen! Hi Lauri, you might also try an additional 3mg when you wake up in the middle of the night. 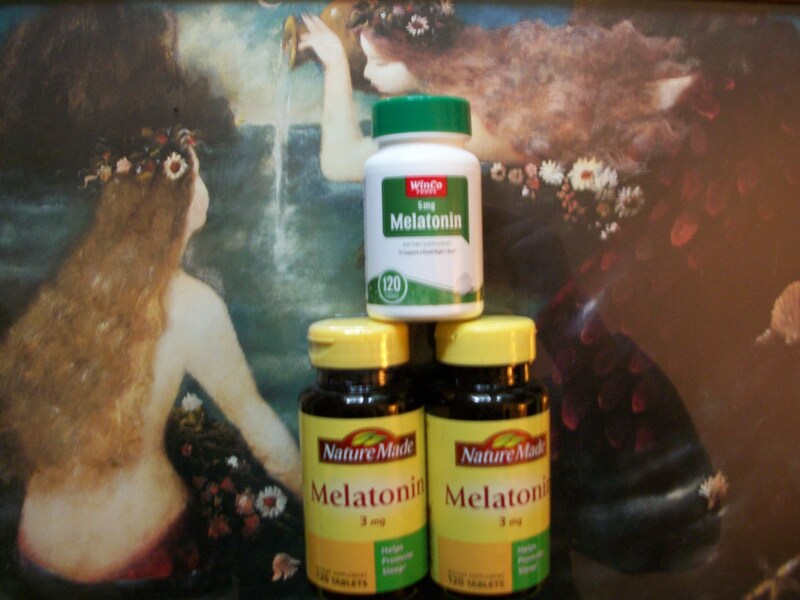 I do this and it puts me right back to sleep and so far I have not had any bad side effects from Melatoinin even at higher doses. Thanks for adding your thoughts here!